Glutenfree Vienna! 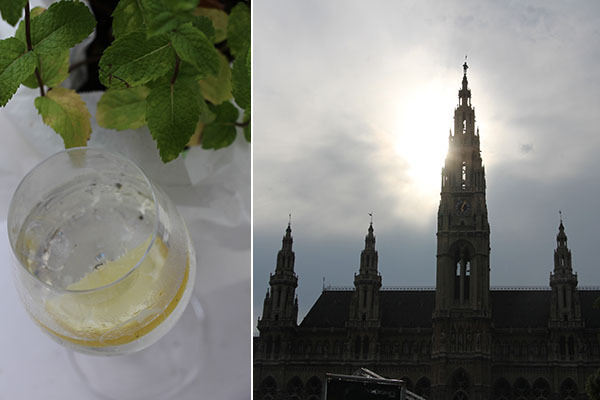 What a beautiful city… Vienna. A city with beautiful buildings, musea, history, a great vibe and lots of glutenfree food. 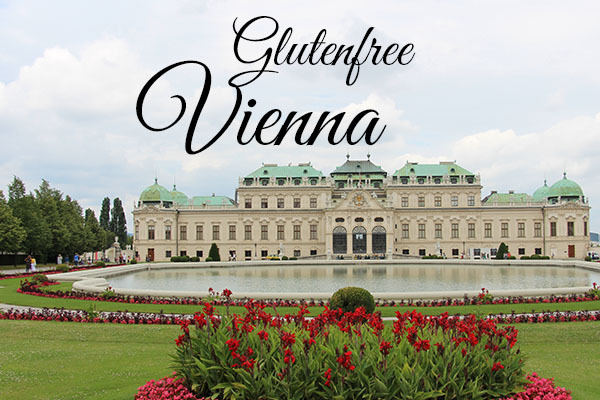 In this article you can find the hotspots in Vienna, so that you’ll know where to find good places to eat glutenfree. 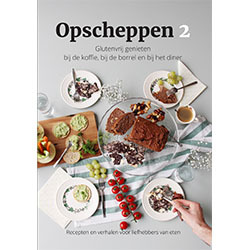 Prefer reading this blog in Dutch? Click here. // Lees je deze blog liever in het Nederlands? Klik hier. From the most countries you can fly to Vienna airport. Amsterdam – Vienna is a two hours flight. In almost every restaurant you can pay by card. Making a reservation in restaurants is a good idea! With a couple of good walking shoes you can discover Vienna by foot. It is a beautiful city for walking! You can also reach every place easily with public transportation. On sundays most shops are closed. Keep in mind that restaurants or lunchcafés have different opening times or can be closed because of holidays. Check the website or make a call to be sure! In Vienna you’ll find a lot of coffeehouses with a big choice of sweets. Some places have such a nice interiour, that you’ll have to take a look (and a coffee). We visited Café Central, a beautiful historic place with glutenfree cake. There are some other glutenfree options, allergies are mentioned on the menu. Of course you can take a good cup of coffee, like a traditional Wiener Melange! Fancy some more cake? We also visited the famous Café Konditorei Aida (multiple shops in Vienna). At the menu you’ll find separate glutenfree options. There are more places in Vienna where you can enjoy coffee with glutenfree sweets, such as Kaffeehaus Demel or Café Mozart. Restaurant Plachutta is well known in Vienna. If you don’t make a reservation, there probably will be not enough place in the evening. We choose to eat at the location near the Opera. A lot of main courses can be prepared glutenfree. But mention it when you order! We suggest to suprise yourself with the tafelspitz, a table full of tradition! Fancy a glutenfree schnitzel? Then go to Zum Wohl. At this place everything is glutenfree. Yes, you can choose EVERYTHING from the menu. By the way, everything is also lactosefree. So yes, we did order a schnitzel. And a tomatorisotto. For dessert we shared a ‘Kernweicher Schokoladenkuchen’. A delicious cake with warm chocolate and lemon icecream. 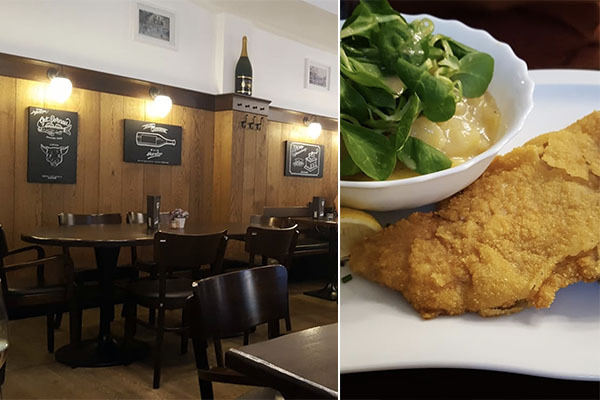 You can also go for a glutenfree schnitzel at Gasthaus am Predigstuhl, just outside the city. The speciality of this place is food for a vegan of celiac diet, but they can also work with other intolerances, so it’s worth a visit! Plachutta: more restaurants in Vienna, for example Walfischgasse 5-10 at the Opera, or Auhofstrass 1 at Schloss Schönbrunn. Yamm! The location close to the University (Universitätsring) is big, has tables inside and outside and a very friendly staff. The location at the Naschmarkt is little and is probably good for take away or a quick snack. At Yamm (Universitätsring) you can enjoy a delicious vegetarian buffet. The menu mentions the ingredients and have seperate spoons. You can also order à la carte. Don’t forget to take a look at the desserts (behind the buffet). And maybe choose one, or two….We recommend the strawberry pistache pie! Our appartement was close to Café Latte, where they serve glutenfree breakfast. We made a reservation online, but the owner called that the place was fully booked. Maybe next time! So, we recommend to make a reservation, because breakfast is very populair in Vienna! We ended up at Simply Raw Bakery. The place is situated in a really cosy street, also the bakery itself is really cosy. We ordered some different dishes from the menu. It was really quiet, but even then it took a while before we did get some breakfast. It was not a lot and also we didn’t really liked the coffee. Such a pity cause the place is really nice! The cakes looked really nice by the way, so maybe next time in Vienna we will go there again to try it again. But for a good big breakfast and good coffee, you can better go somewhere else. At the end of this blog you’ll find some other places. Scarabocchio: Florianigasse 3. Open daily. Blue Orange – glutenfree and lactosefree bagels. Anni’s Bröselei – coffee and lunch. Vegan and always glutenfree options, a place we’ll definitely visit next time! Closed at weekends. Neni – Breakfast and lunch. Glutenfree options on the menu. Naschmarkt 510 (daily) en Höhe obere Donaustrasse (april-octobre). 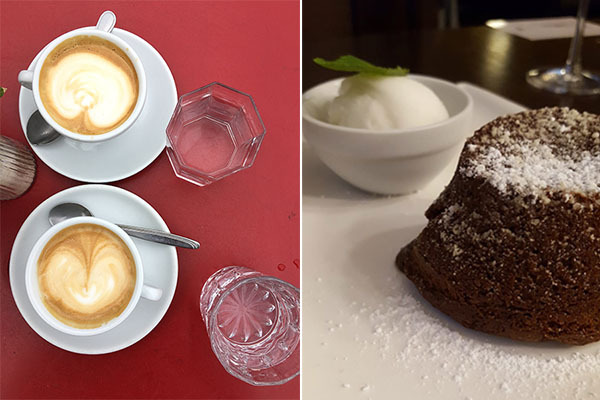 Café Salzberg – Multiple glutenfree options on the menu; soup, risotto, salad, meat, desserts. Also options for breakfast, with glutenfree bread. Restaurant Hollerei Looks so cosy! Inside, but also in the beautiful garden you can enjoy lunch or dinner at this vegetarian place with glutenfree options. It is just outside the city, so take a long walk of take the subway. A place we have to go and visit! Are you also a big fan of cooking and baking? Babette’s Spice & Books is a really nice shop full of books and fresh spices. You can also drink a cup of coffee. You can also have lunch, but ask for the options, because we did see they have a really small kitchen and not everything is glutenfree. But no worries, take a cup of coffee or tea and lose yourself in all the books and smell of fresh spices….. Enjoy Vienna! And let us know how good it was!